About half of the men were drowned and only a few of their ships remained. Today the small town of Largs on the southwest coast of Scotland is a popular seaside destination for families enjoying a day out. But it has a surprisingly bloody history. 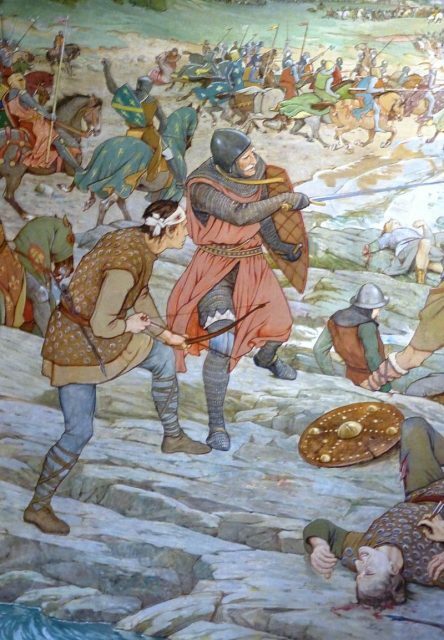 Although it is more famous today for its ice cream shops, in the 13th century Largs was the scene of one of the most significant Viking defeats. At the beginning of the 13th century many parts of Scotland were under Norse control, including the small islands of Bute and Cumbrae off the southwest coast as well as the larger Hebridean Islands, then known as Innse Gall. 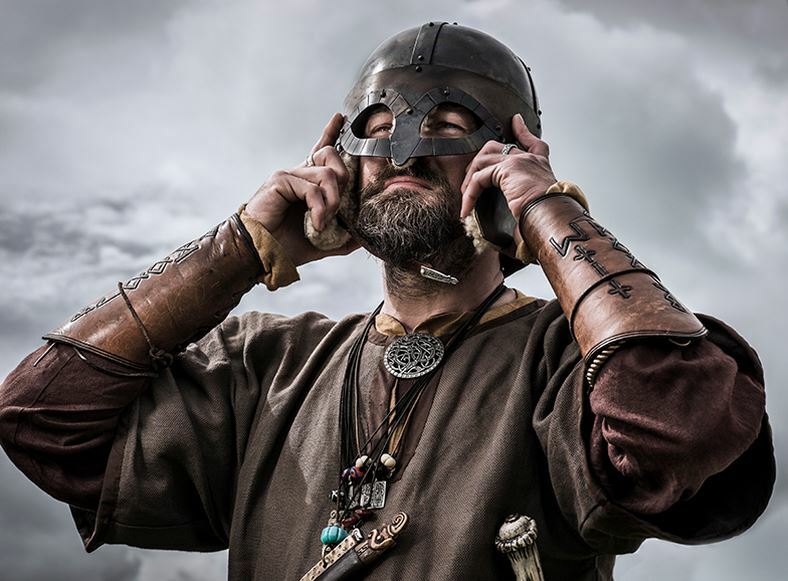 Norse rule of this part of Scotland had come about as the result of centuries of raids carried out by the Vikings, who sailed there from Norway and Denmark in longboats. The early raids were largely about pillaging and looting and taking home whatever they could, including gold and slaves. Over time trade links were also established and many of the Vikings settled on the islands, bringing their cultures and traditions with them. Lack of a strong leader in both Norway and Scotland allowed things to carry on in this way until early in the 13th century, when the arrival of new monarchs brought about changes to both countries. The Norwegian realm in 1263, at about the time of the Battle of Largs. Alexander II of Scotland was a powerful ruler whose one ambition was to unite Scotland. In order to achieve this, he set out to regain control of Innse Gall on the west coast, where the Norse settlers had given their allegiance to Norway. At the same time, the equally ambitious Haakon IV of Norway had the same goal of uniting his own country. Haakon was determined to keep control of Innse Gall, which he considered to be Norse territory. 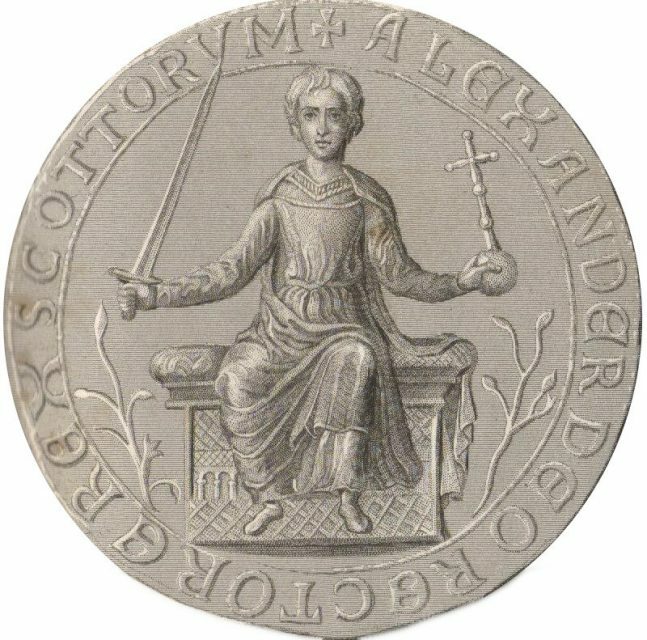 Steel engraving and enhancement of the Great Seal of Alexander II, King of Alba (Scotland). For decades Alexander waged a battle to regain the islands, but had little success. It was on one of these missions that the king developed a fever and died. Norway had no intention of backing down. It was becoming an increasingly powerful country and by the second half of the 13th century it had taken control of Greenland and Iceland. But neither did Scotland have any intention of backing down. With even greater determination, Alexander III continued the battle his father had begun. 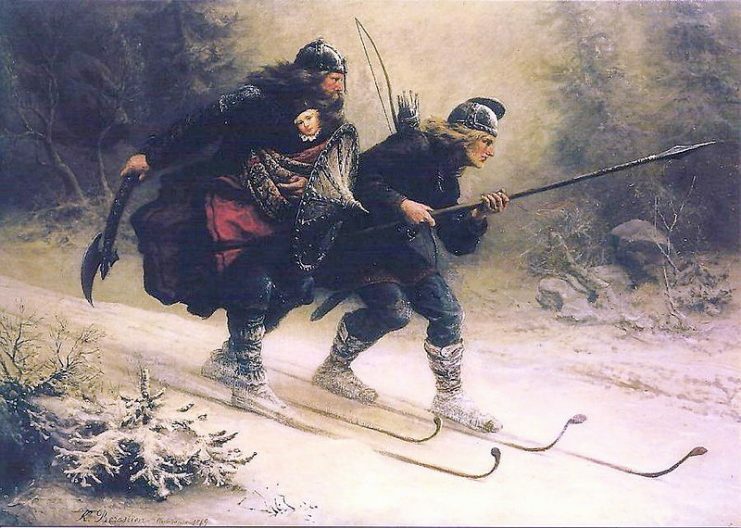 19th-century impression of the birkebeiner bringing the infant Haakon to safety (Knud Bergslien). The new Scottish king ordered raids on Norse territory on the islands. These were carried out with a level of brutality that had never been seen in previous attacks. At the king’s command, soldiers murdered innocent villagers including children. Homes, farms and churches were burned to the ground. This unsurprisingly angered and provoked Haakon, who responded with renewed force. He had powerful allies in Scotland—the Orkney Islands in the far north were under Viking rule, and they made their ships available to the Norse king. With over 100 ships carrying 2,000 men, Haakon set off on a campaign down the west coast. Haakon was confident of victory with this powerful fleet, which was more than a match for the Scottish king’s men. Alexander was aware of this and decided that rather than confront the Norsemen head on he would use delaying tactics. As autumn was approaching, stormy weather could work to his advantage by forcing a land battle. On land, the Norsemen would have less of an advantage. Under the pretext of trying to negotiate an agreement, Alexander sent envoys to discuss the situation at length and managed to postpone the confrontation. This could not, of course, go on indefinitely. However, fortunately for the Scottish king luck and the weather were on his side. 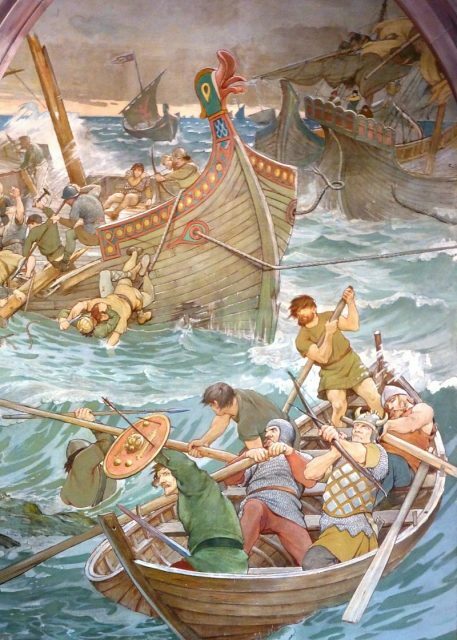 A huge storm arrived on October 1, 1263, and wreaked havoc on the Norse fleet. The morning after the storm, Haakon’s warriors were in disarray. About half of the men were drowned and only a few of their ships remained. Worst of all, they had been driven inland, so had little choice but to go ashore. They were ill-prepared for a land battle at the best of times, let alone in their current state. And Alexander’s men were ready and able to take advantage of the situation. 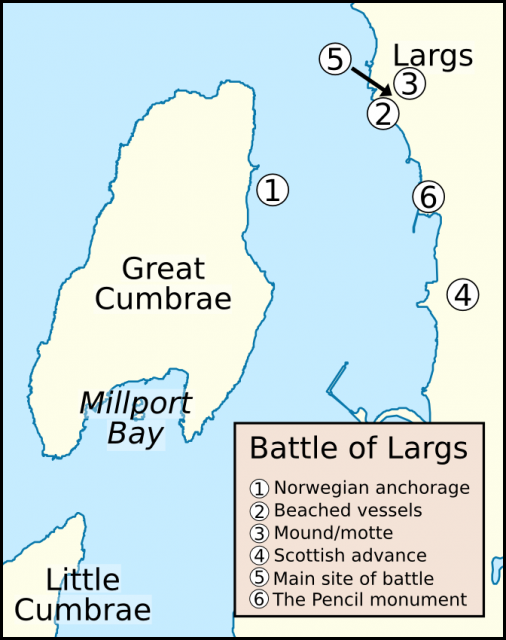 The battle itself, which took place at the mainland town of Largs, was considerably less dramatic than the events leading up to it. The Scottish army consisted of around 500 cavalry and foot soldiers. They gained an advantage by marching between the ranks of the Norsemen, who had divided and taken up two separate positions in the town. The Scots attacked the smaller group while blocking reinforcements from the rest of the Norsemen. After a few skirmishes, the smaller group of Norsemen decided to return to their ships and regroup. When the rest of the men saw them leaving they thought it was a retreat and also headed back to the ships. Haakon intended to continue the fight but the men were exhausted and supplies were low. So he decided to return to Orkney with what was left of his fleet to rest and continue his campaign in the spring. However, while he was there he became seriously ill and died. Haakon was succeeded by his son Magnus the Lawmender. Magnus did not share his father’s enthusiasm for battle and initially allowed the status quo to remain. Magnus turned out to be more of a political monarch than a warrior. He preferred to negotiate and brokered a deal with Scotland. For the sum of 4,000 marks in silver, he gave up Norway’s claims to the Hebrides and Western Isles, as well as the Isle of Man, further south, off the English coast. Scotland, in turn, recognized Norway’s sovereignty over the island of Orkney and Shetland to the northeast of the mainland under the treaty of Perth. Today Viking culture is still evident throughout Scotland in the language and in art such as metalwork and stone carving. 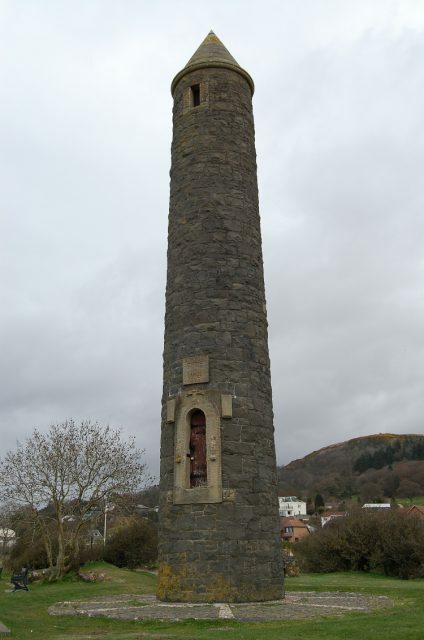 The town of Largs now has a major museum dedicated to the area’s Viking history, with regular exhibitions that include reenactments of the Battle of Largs.